At Baselworld 2012 next week Peter Speake-Marin will unveil his new Serpent Calendar. A similar model was available in the Piccadilly line but was discontinued. 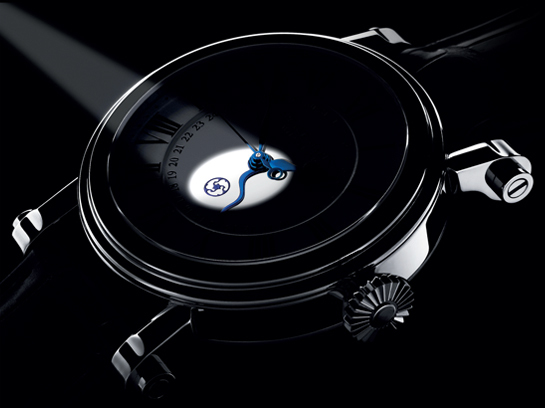 That was a shame as the serpentine hand was distinctive, especially when paired with the Piccadilly case. Based on the photo the case looks like that used for the Thalassa SM2. This is welcome news and I look forward to seeing more. Hopefully this will be affordable like the Spirit Pioneer.